Friendship is a kind of therapeutic bond and like with a therapist a friend is the repository of thoughts, memories and intimacies that they take with them to the grave. A good therapist is capable of producing the conditions, of greasing the wheels or creating a kind of highway that facilitates the communication of emotion. A therapist is a surrogate friend and the transferences that go on in therapy create the illusion of friendship and most often a kind of parenting, if the transference is particularly parental, which it usually is. 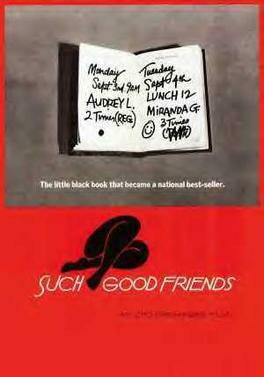 But you can easily look at friendships as mini therapeutic interventions and thus conceive of average human beings whether they're sharing deep confidences or not as participating in therapy on a mass scale depending, of course, on the number and intensity of friendships that comprise a human being's social life. There are therapists who delve deeply into the past and those of the cognitive variety who are more interested in behavior, but it essentially doesn’t matter. Whether or not you're the kind of patient who tells everything to his therapist, analyst, psychiatrist or spiritual advisor or holds things tightly to the vest is of less concern than the existence of the relationship whose manifest content itself is charged with meaning. Explicit remembrances which are often distorted by drives and intentions (a la Freud’s repudiation of the seduction theory) may turn out to be less revelatory than the heart to heart relationship that occurs between friends and therapists and between whom an invisible umbilical chord often betokens both regeneration and rebirth.